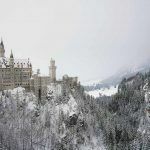 In anticipation for our trip to Berlin later in the year, we asked a few fellow travel bloggers for their tips with regards to the best things to do in Berlin in winter. We will be visiting Berlin during December, just before Christmas and only have a few days so we wanted tips on things to do in Berlin in 2 days or even 3. 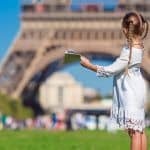 If you are looking for things to do in Berlin with kids as well as some tips on things to see in Berlin in 2 days, reading below. 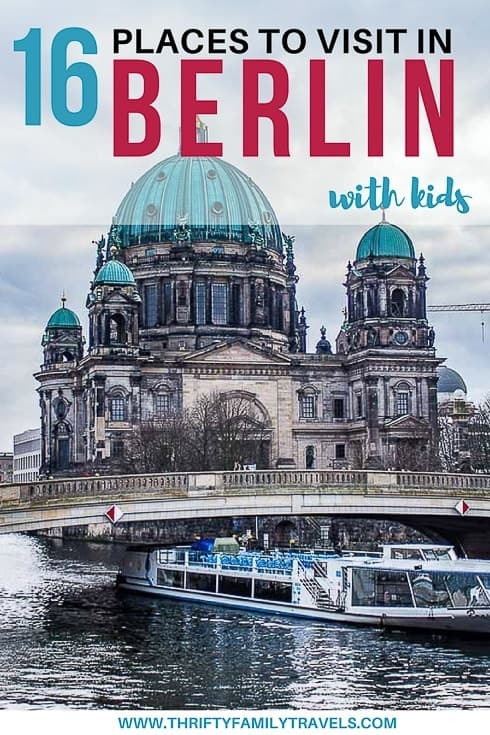 Click here to read our full guide on Berlin with Kids – includes everything there is to do in Berlin with kids, best family friendly places to stay and how best to get around. Berlin’s Museum Island is a great spot to spend a day (or two) while in Berlin. 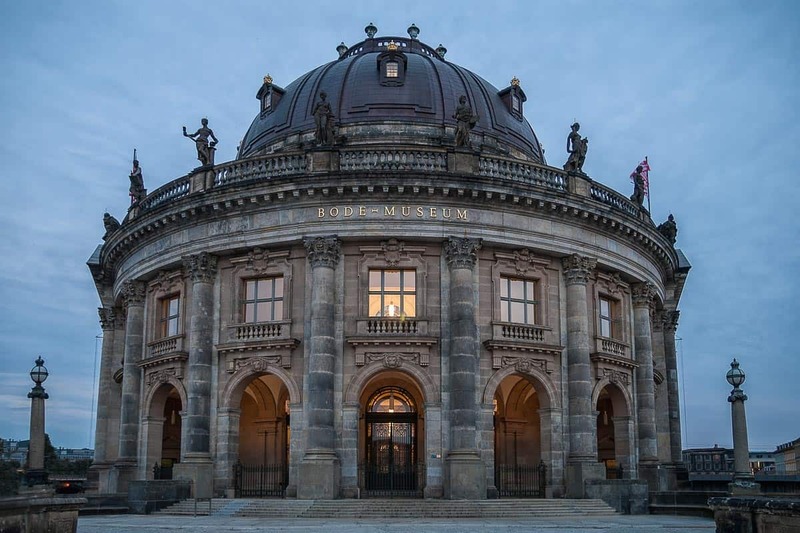 It’s one island that is home to five world-class art museums, each of which is housed in gorgeous examples of German architecture. It’s also a UNESCO World Heritage Site and home to some of the most important works of art in world history, like the bust of Egyptian Queen Nefertiti, important works by Impressionist masters, and the Ishtar Gate. Children under 18 can visit all five museums for free, while an adult ticket to all museums costs 18 euro. To get there, you can go by taxi, Uber, or take public transportation. If using the S-Bahn, get off at Hackesher Markt and then Museum Island is only at fifteen to twenty minute walk from the station. There are many other things to do in the area when you’re finished with the museums, and you can take a break in the gardens between sites. When I was there in early May, I saw six different German brides taking wedding photos in the small gardens! After you visit the island, make time to see some of Berlin’s wartime sites and enjoy some fantastic German cuisine. 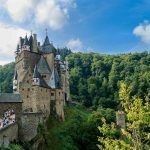 Interested in road tripping Germany’s Romantic Road – click here for a full itinerary. Thanks to Stacey from One Trip at a Time. 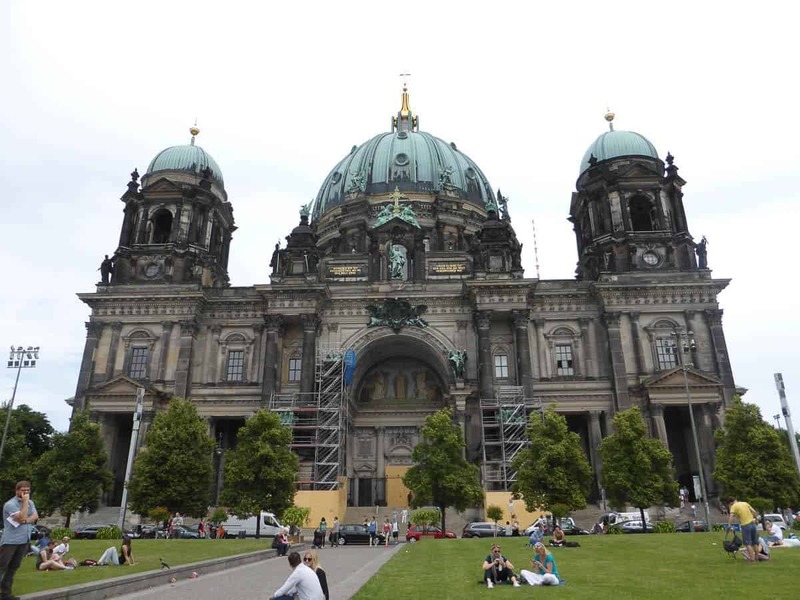 Berlin’s Berliner Dom is on Museum Island, a UNESCO World Heritage Site, and is the most important Protestant church in the city. The cathedral is a 7-minute walk from the nearby S-Bahn station Hackescher Markt or right next to the 100 bus route stop Lustgarten. The church is the sepulchre of the Prussian Hohenzollern dynasty and was constructed between 1894 and 1905. However it remained closed for many years following the war as it was heavily damaged and only re-opened in 1993. First impressions may not be too favourable, compared with the gleaming stone of the Brandenburg Gate or Reichstag, as the Berliner Dom could do with a clean. However, hold your first impression and wait until you see the inside which is jaw-droppingly beautiful. From the stunning interior you can admire the enormous organ which has over 7,000 pipes before heading down to explore the crypt which contains over 90 sarcophagi and tombs. Finally climb the 270 steps to the top of the dome to admire the view around Museum Island and across Berlin. The cathedral is open daily from 09:00am until the evening though times may vary due to events being held. Regular tickets are €7 for one adult and up to three children under 18. Reduced rates of €5 are available for school children, students, unemployed people as well as people with disabilities. An audio guide is available for an additional €4 each. Thanks to Kati from Queensland & Beyond. People often don’t realise just how many waterways there are in Berlin. The River Spree and the Havel snake their way through the city, and then there are a number of canals, tributaries and lakes. All of these waterways offer a fabulously different perspective of Berlin’s landmarks, and all you need to do is hop on a cruise boat. There are so many options for taking a cruise: Routes, hop-on/hop-off points, price, lunch or dinner, half day or full day, you name it. You could basically spend a whole day just cruising the waterways. 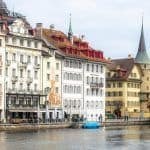 But if you don’t have a whole day for scenic river-cruising, a good option is the Historische Stadtrundfahrt (Historic City Cruise). You’ll take in major sights like the Government Quarter, the Berlin Cathedral and Museums Island, and finish near the historical Nikolai Quarter. It’s only 1.5 hours and will cost you €15 (adult). If you’ve got more time to spare, take the Brückenfahrt (Bridge Tour). 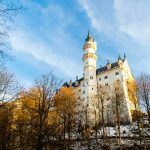 In addition to the historical sights, this river cruise also takes you past the East Side Gallery and the famous Oberbaumbrücke into trendy Kreuzberg along the Landwehr Canal. It’ll set you back €23 (adult) but you’ll get 3.5 hours of cruising delight for that! Well worth it. Pretty much all departure points are located close to train stations (e.g. Friedrichsstrasse or Jannowitzbrücke) or major tourist sights, and you don’t generally have to pre-book unless you’re in a big group. The only thing you need to be mindful of is that not all routes are offered year-around so make sure first check when they run if you want to do a particular one. 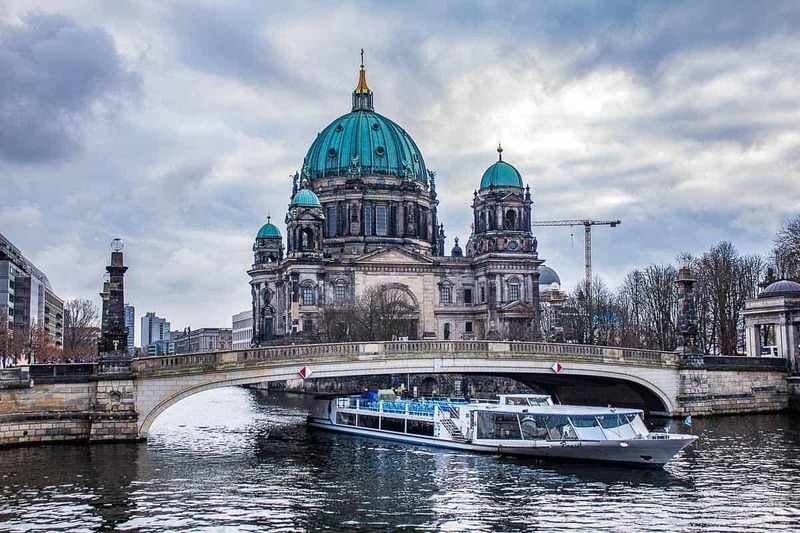 Click here to find out more about a cruise on the River Spree or to make a booking. 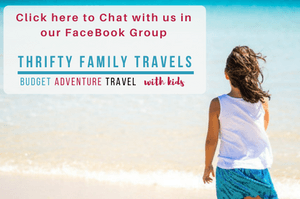 Thanks to David from Travel with Little One. The fall of the Berlin Wall led to the creation of many new countries as old ones split up, but one disappeared off the map altogether. The DDR Museum in Berlin is a memorial to this, the German Democratic Republic, or East Germany, the country that no longer exists. 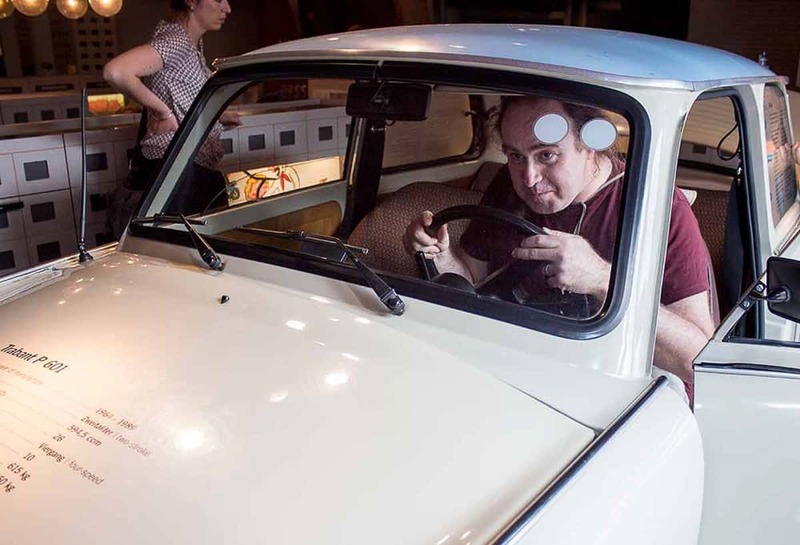 It’s a fascinating trip back in time, and the interactive elements bring it to life – you can ‘drive’ a Trabant car or choose clothes for yourself to find out how suspiciously the State would regard you (in our case they would have at the very least bugged our apartment). You’re immersed into a kitsch world of terrible brown wallpaper, antique analogue telephones, low wages, and state-approved rock’n’roll with an amazing collection of exhibits. But this was a socialist idyll many wanted to flee, but were kept in by the Berlin Wall and hundreds of miles of barbed wire fences, not to mention the most extensive state surveillance organisation in history, the infamous Stasi. The DDR Museum is above the River Spree, right behind the Berliner Dom (Berlin Cathedral). Opening hours are 10.00 am through until 8.00 pm daily Monday to Sunday, with the exception of Saturday, when it’s open until 10.00 pm. Online tickets are slightly cheaper than the ticket desk, they are 8.5 euros for adults, 5.50 euros for children over 6 (under 6’s go free). Tickets from the desk cost 9.8 euros for adults, and 6.00 euros for children over 6. Click here to book online as well as skip the line. Thanks to Claire from Tales of a Backpacker. Berlin is a fascinating city, with a dark history. 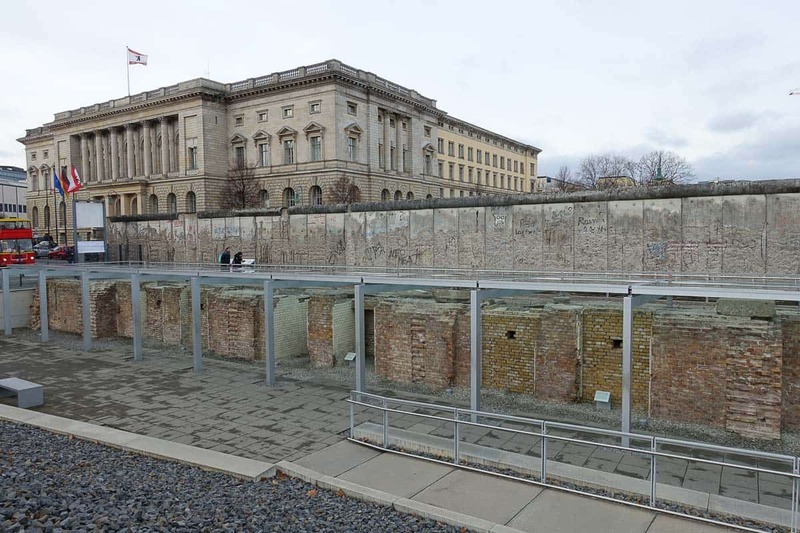 The Berlin Wall is a fascinating part of that, and no visit to Berlin is complete without seeing some of what is left of the wall. 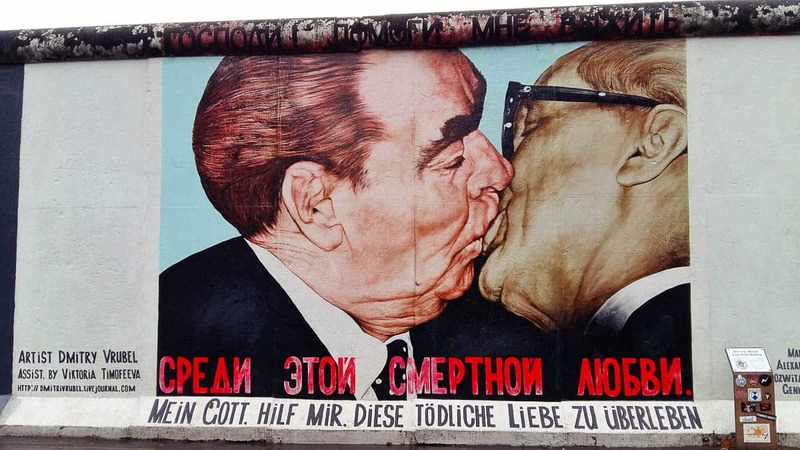 The East Side Gallery is the largest section of the wall still standing, and is a lasting memorial to those who died trying to cross the wall and leave Communist East Berlin to get to a better life in the West. 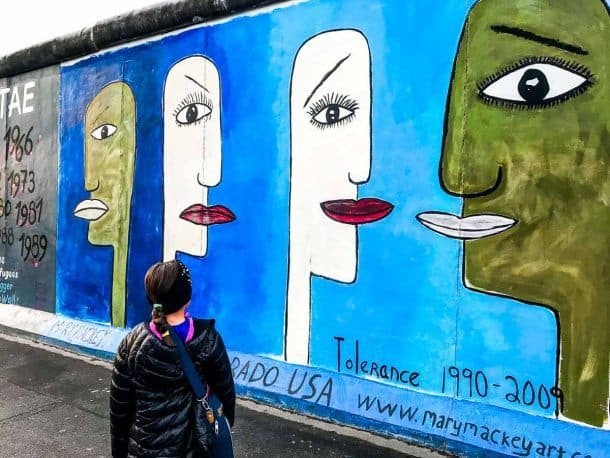 The wall finally fell in 1989, and the following year artists from across the world painted murals on this section of the wall, now known as the East Side Gallery. They painted a variety of images, representing change, hope and reminding people of the dangers in building walls. 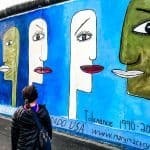 The East Side Gallery is free to visit, it runs all along Mühlenstrasse and is in the open air so anyone can visit at any time. Unfortunately, despite being a heritage-protected landmark, some people have left their mark on the wall in the form of graffiti, although there is an ongoing project to preserve and restore all of the paintings. Thanks to Somnath from Travel Crusade. The Charlie Check point is an important reality in the town as it used to be the crossing point for foreigners between East and West Berlin. The scary look of soldiers was a matter of concern for us as there was isolation in the streets and the premises. They were guarding the territory and the area looked a bit frightening as compared to other places in Berlin. It is a few kilometers from the wonderful city of Berlin and the destination can be planned in a single day along with other sights. The sight is now a tourist attraction and is located in the museum at Dahlem. Click here to book online tickets as well as skip the line. Thanks to Nic from The Roaming Renegades. The Typography of Terror museum in Berlin is a must visit, it’s not a nice place or one that you will be snapping away at for Instagram, but it is one that will stay in your mind for a long time. Set in the grounds of the destroyed former SS and Gestapo headquarters and also alongside a remaining section of the Berlin wall, it documents the rise and fall of the Nazi party and all the horrors in between. A sobering experience but one which is essential during a visit to Berlin, a city that has seen so many horrific events and has been at the centre of some of the most brutal European history. Thanks to Ali from Ali Adventures. Despite the gloomy weather, I LOVE being in Berlin in December for one reason: Christmas markets! Germany does Christmas markets better than anyone else, and Berlin has everything from traditional to quirky. Lucia, located at Kulturbrauerei, Schönhauser Allee 36, near the Eberswalder station on the U2. This one has a Nordic theme and is in the courtyard of a former brewery. Charlottenburg Castle, located at Spandauer Damm 20-24, halfway between Richard-Wagner-Platz on the U7 and Westend on the Ringbahn (S41/42). The palace makes for a gorgeous backdrop. It’s also one of the few open on December 25th. Neptune Fountain, located at the corner of Karl-Liebknecht-Str and Spandauer Str. The big square surrounding the Neptune Fountain is a little more commercial than some, but not as touristy as the nearby Alexanderplatz market. There’s an ice rink, plenty of food and sweets. The markets I’ve listed are open all season. They’re free to enter, but there are a few that charge a small fee, usually 1-5 euros. Food and drink prices usually do not include the deposit (Pfand) which you get back when you return your mug or plate, though some people keep the mug as a souvenir. 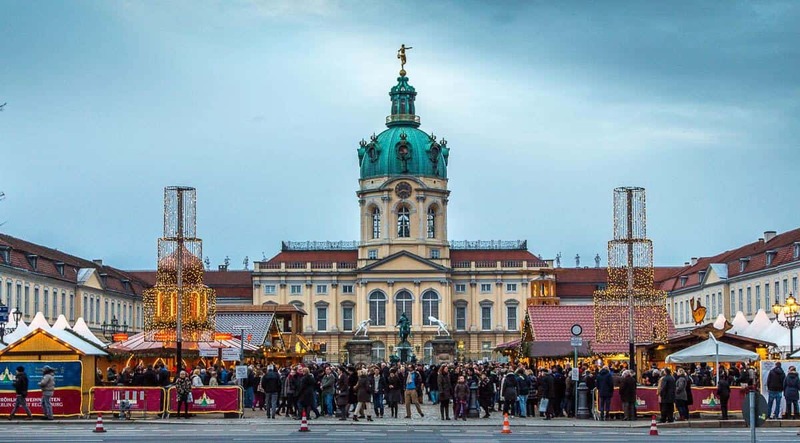 You’ll find Christmas markets sprinkled throughout the city. Most will be in public squares while a few are indoors. Each market has its own personality and often reflects the vibe of the neighborhood where it’s located. Most run from late November to Christmas, though some are only on certain days or weekends. Thanks to Arzo from Arzo Travels. Berlin has a lot to offer to its visitors – that is something I can say without a doubt. 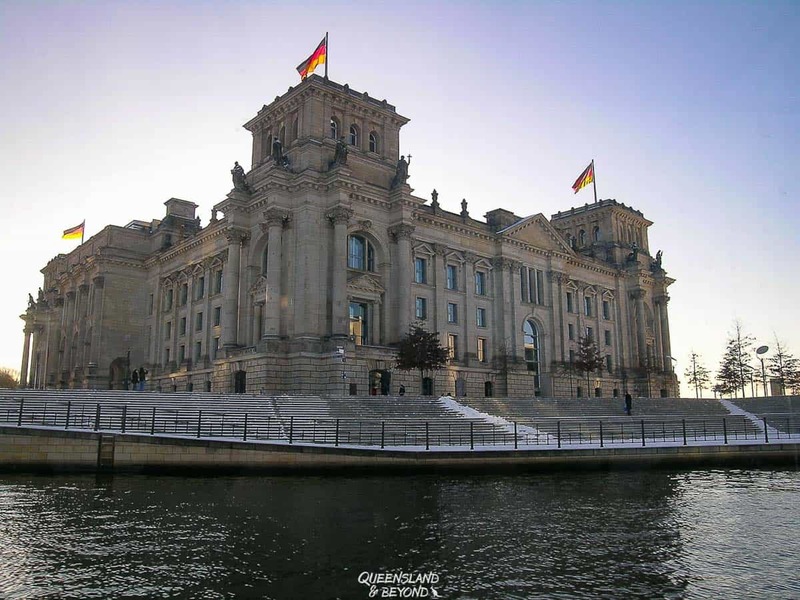 While there is a lot to see I still recommend to take some time to head to the Reichstag – the German Parliament. 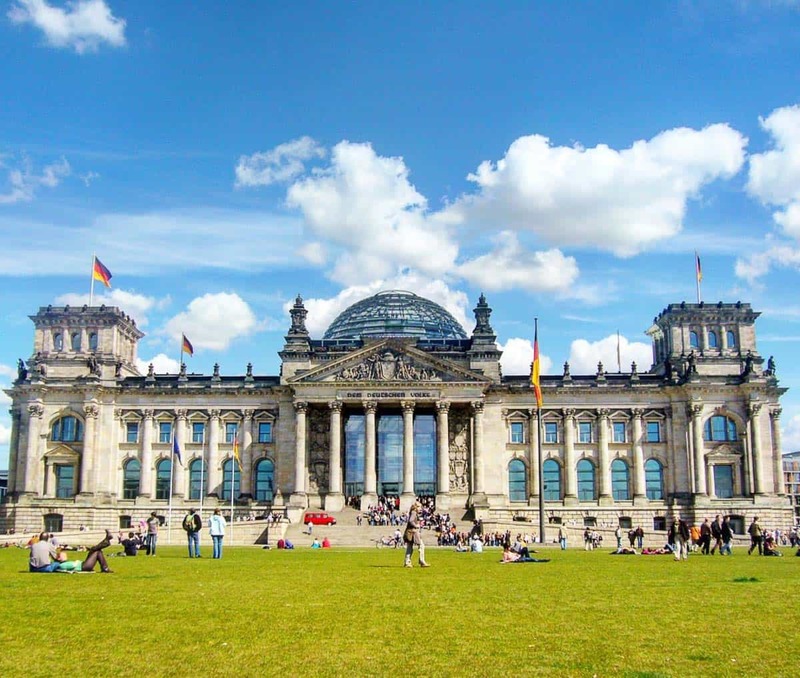 The Reichstag is one of the most iconic buildings in the capital and in the summer (or any sunny day) the meadow in front of it is a beautiful place to relax and chill. Regardless the season, you can always visit the Reichstag and get inside and visit the dome and rooftop terrace. The dome is open to the public on most days from 8 am to midnight but there are some days that are closed for the public. From up there you have great views of the parliamentary and government district and even get to see some of Berlin´s sights. Entry is free (is not that good news?) but you must register online – if you don’t and want to visit spontaneously you might be lucky and there is a free spot, but I recommend to reserve your ticket in advance (do not forget to bring along your ID). You also get an audio guide so you will find out about the most important information, so that you learn about some part of the Germany history. The closest bus stop is the “Reichstag/Bundestag” station (also sightseeing buses stop near the Reichstag), but you can also walk there from other sights like the Brandenburger Gate or the main train station. Thanks to David from Paid Surveys Fanatic. Although Berlin is a fantastic city to visit, it does have a dark past which it confronts with reminders of 20th century history dotted all around. The Jewish memorial is one of the more confronting reminders, if only by it’s name – the Memorial to the Murdered Jews of Europe. 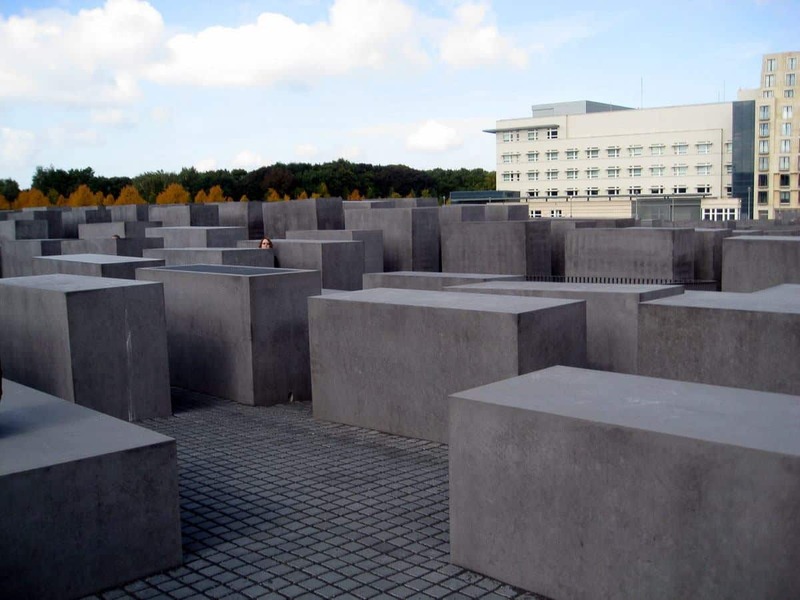 This memorial is dedicated to the 6 million jews killed by the Nazi’s and is laid out as a labirynith of gravestone like pillars with no explicit meaning, with each visitor encouraged to find their own meaning. Although the memorial can be slightly disorientating, there’s nothing too directly confronting which makes it great for visiting with kids. However, combined with some knowledge of the history of the area, it is certainly thought provoking. Visiting the memorial is free of charge and is very accessible being located between two major attractions – the Brandenburg Gate and Potsdamer Platz. The memorial is open between Tuesday – Sunday, 10am – 8pm between April and September, and 10am – 7pm between October and March. However, there can be a long wait and I would recommend going early. It’s definitely worth a visit and a great way to pay respect to this tragic period of history without seeing anything too confronting in and of itself. As extremely frugal budget travelers, nothing excites me more than the word “FREE” while traveling! And while a “Free Walking Tour” sounds too good to be true, these types of tours are popping up in just about any major tourist town and more often than not are MORE than worth your donation! Berlin was one of the first city’s we found a free walking tour in (Sandeman’s Free Walking Tour was who we used) and we enjoyed it so much! (In just a few hours time, we saw so many of the major sites like the Brandenburg Gate, site of Hitler’s bunker, Checkpoint Charlie, part of the Wall and so much more!) It was the perfect introduction to the city by foot and was JAM packed full of information we would have never have known had we just wandered around ourselves. We went on the free walking tour our first day in Berlin and hit up so many sites that it gave us a great idea of how to spend the rest of our days in the city (what did we already cover in depth in the walk, what would we like to revisit, what tips and recommendations did the guide give for other places to see, eat and do, etc). 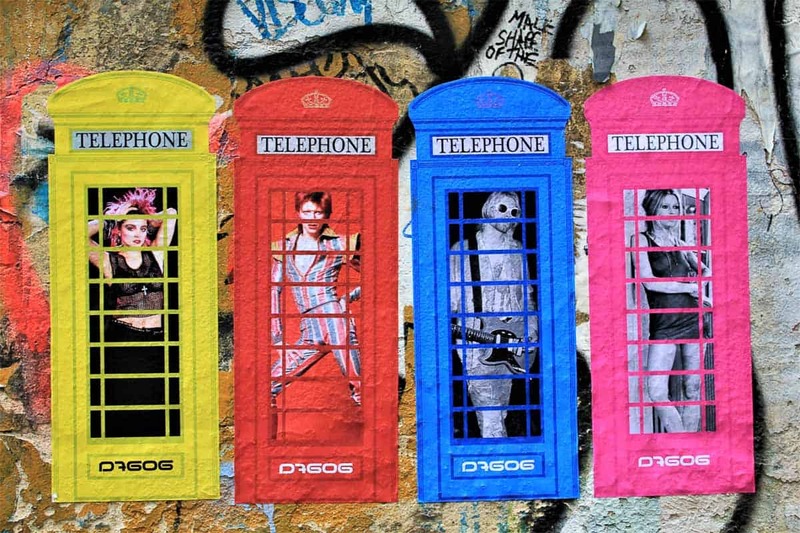 In fact, we now look for free walking tours in every city we go to! Thanks to Anna from My Travel Scrapbook. Haus Schwarzenberg would be easy to miss if you did not know where to look. Close to the commercialised mainstream shops and houses on Rosenthaler Strasse there is a little pathway which leads to a world of unpretentious art with a fascinating story. Haus Schwarzenberg is run as a not-for-profit organisation by the Schwarzenberg Association. Their aim is to support young and unknown artists by giving them a space to create. Upon entering the courtyard, you are immersed in incredible street art and interesting sculptures. Each visit is unique as the outdoor art gallery is constantly changing. During my visit I saw small paintings of pop culture icons, political statements taking a stance on current affairs and huge geometrical pattern graffiti. When I looked up I saw red and yellow bunting, swaying gently in the cold wind above this courtyard full of wonderful colours. The courtyard is free to visit. The doors around the courtyards lead to artists’ studios, shops and an odd underground amusement park. There is a bar of course, an artsy cinema, a bookshop but also captivating museum exhibits. Haus Schwarzenberg in Berlin-Mitte has always been a little different. During the third Reich Otto Weidt, a Berlin manufacturer, tried to save deaf and blind Jews by giving them jobs at his factory in Haus Schwarzenberg. There are exhibits telling this story as well as installations about Anne Frank. Haus Schwarzenberg will live on as part of Berlin’s alternative scene. Make sure you leave time to admire the colours of this hidden courtyard and discover its unique history for yourself. Thanks to Kristin from Be My Travel Muse. If parents can get some time for themselves then head to the Vabali Spa. 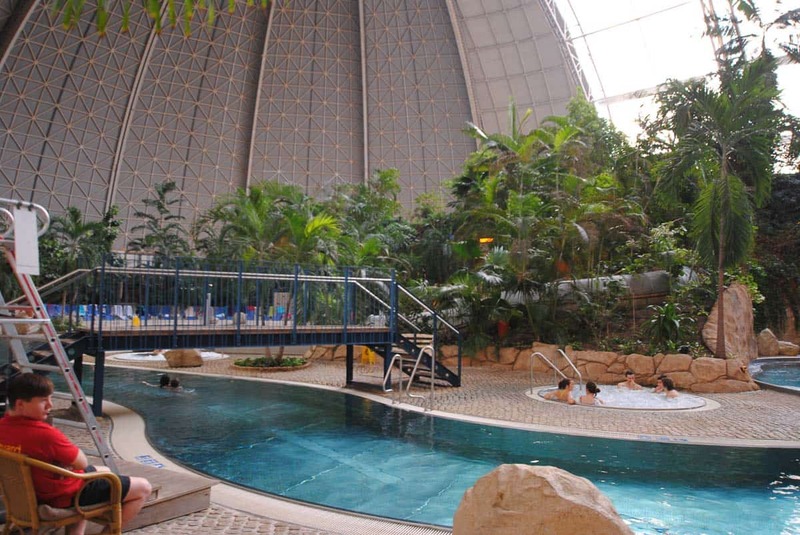 Vabali Spa in Berlin is a Bali-themed spa that incorporates several kinds of sauna of varying degrees of humidity and temperature, as well as massage, swimming pools of varying temperature, and a delicious restaurant. It’s the perfect way to relax at any time of year, particularly in the winter when its cold and the hot saunas are that much more appealing. Throughout the day, there are several aromatherapy infusions available at varying temperatures, up to my personal favorite, the Beji spa at 95 degrees C. As is fairly normal in these parts, it’s a textile-frei spa, meaning that clothing is not permitted. Everyone regardless of gender identity shares the same space, and it somehow stays classy and harmonious. I love how free it feels, and how nice it is to be in my birthday suit in a comfortable setting! Thanks to Marie from Mirage. The Charlottenburg is Berlin’s largest palace, visitors can view the Mausoleum, the Belvedere and the Neue Pavilion, the Old Palace (Alte Schloss) and the New Wing (Neuer Flügel) for an admission of €7-10. The Old Palace is more of baroque, which displays thousands of porcelains, also the crown jewels and the royal silver and fine porcelain tableware. The New Wing is more rococo in style. The formal and informal gardens are freely open to the public – best seen in spring. The palace grounds may be covered white in winter, but upfront, you can enjoy an Offenkartofel (baked potato with toppings of your choice), Currywurst (sausages in curry sauce), Maroni (roasted chestnuts), Kartoffellanzen (potato spirals), Lebkuchen (ginger bread and cookies), a cup of Glühwein (mulled wine) or your favorite tea, even hot chocolate to name a few. It’s a winter feast, so to say. Charlottenburg palace is near Spree river, easily accessible via 4 train stations: Jungfernheide, Westend, Mierendorffplatz, and Richard Wagner Platz and a number of bus stops just a little walk from the main gate. Thanks to Clemens from Travellers Archive. Berlin’s Müggelsee Lake is the biggest lake of the German capital. It’s about eight metres deep, 4,5 kilometres long and located in the East of the city. In summer, the lake is absolutely pumping with people and families coming here to enjoy the three open bathing areas. 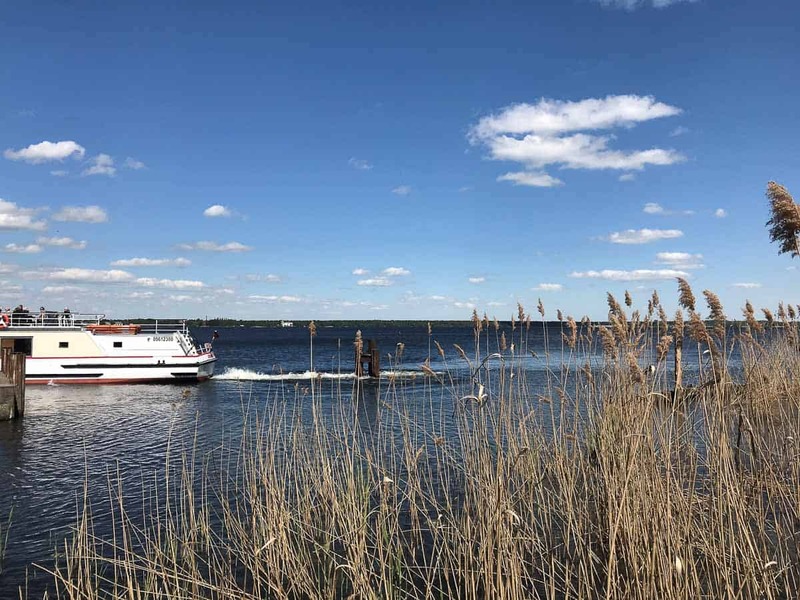 However, also in summer Müggelsee is a nice activity that will get you to a completely different part of Berlin. Come here and explore the museum and the old fishing village Rahnsdorf, which has completely stored it’s former appearance with cobblestoned alleys and beautiful buildings. Our favourite thing to do at Müggelsee is heading to the cute restaurant “Rübezahl”. It does not only have its own bus stop, but also a schedule which is full of various events. 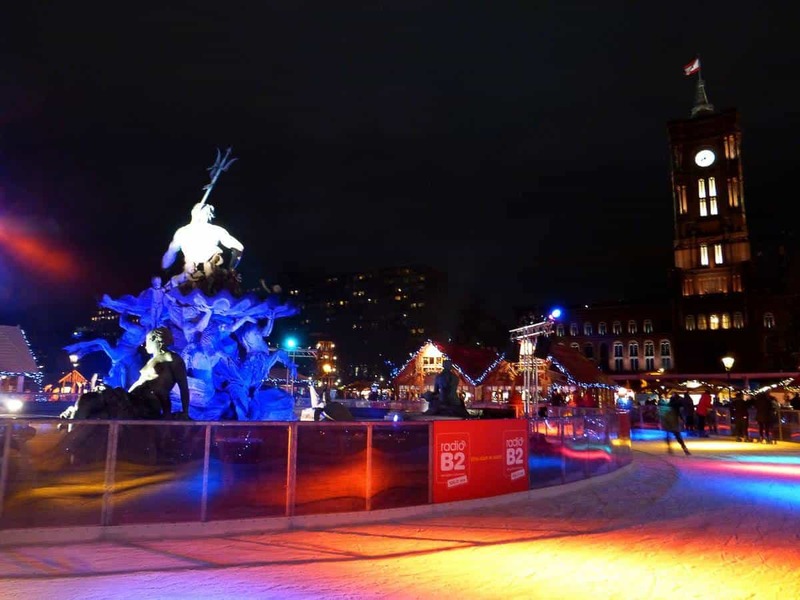 In winter, they have their own ice-skating rink and offer mulled wine and proper German bratwurst. You can also go for a nice walk through the forest or along the lake and check out the Müggelsee tower, which has just re-opened and which offers an amazing view over Berlin. Dubbed the “Inside Beach” by the children, it is housed in a former airship hangar (known as the Aerium), the biggest free-standing hall in the world. There are 6 themed areas in Tropical Islands; The Tropical Village, featuring replicas of traditional buildings from Thailand, Borneo and Bali; The Rainforest, with includes around 50,000 plants from 600 different species; The Tropical Sea is a 140meter pool and 200 meters sandy beach, there is an attached kiddy pool for the little ones; and finally the Bali Lagoon, and area of 1,200 square meters, including fountains, current canal, water slides and whirpools and waterfalls; Waterslide Tower, featuring several different waterslides for different guests and their comfort zones; and newly created Amazonia, an all seasons outdoor heated swimming pool, bubble lounges, geysers, and White water River. To get to Tropical Islands by train, take any train that stops at Brand Tropical Islands train station. From the station Brand Tropical Islands, a free shuttle bus takes you to Tropical Islands. The shuttle’s schedule is adjusted to the trains. To get here by car, head south from Berlin-Schonefeld for around 50km on the A13 (Berlin Dresden). Tickets start at 36 euro per adult, and 28.50 euro for children, for day visitors. Overnight guests receive a combi rate of accommodations, park tickets and included breakfast. This starts at 120 euro per night, per person (inside the Dome) with children under 5 being free. Guests staying with Tropical Islands outside of the dome, in the Mobile Homes, start at 304 euro per night, for up to 6 people. Opening hours are 6 am – midnight for visitors and 24hrs for overnight guests. 1. 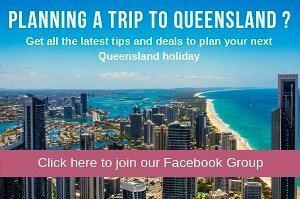 Hop-on Hop-off Double Decker Bus Tour: I love these sorts of tours as a quick and easy way to not only get around the city but also to learn a bit about it as you go. There are various stops along the way including Kurfürstendamm, Potsdamer Platz, Checkpoint Charlie, Gendarmenmarkt, Alexanderplatz, Museum Island, Berlin Cathedral, Humboldt University, Brandenburg Gate, Unter den Linden, the Government District, Holocaust Memorial, and Berlin Central Station. 2. Sachsenhausen Concentration Camp Memorial Walking Tour: On this tour you learn about the site’s terrible history, see various memorials as well as learn about life in the camp during World War II. 3. Hitler Documentation in the Story Bunker: On this tour you will learn everything about Hitler’s rise to power, visit a full scale replica of Hitler’s bunker and learn about his fall. Looking for accommodation in Berlin, click here to see what is available. 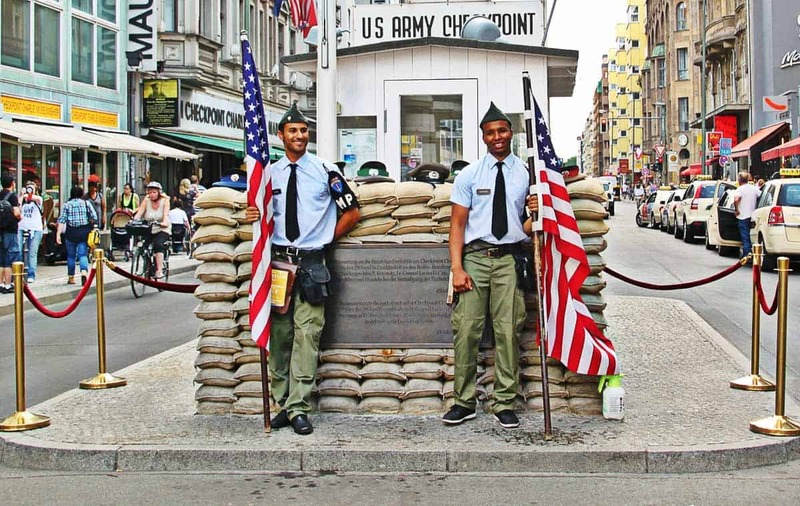 We have booked the Hotel Gat Point Charlie for our stay in Berlin. Get our Berlin with Kids Guide FREE! 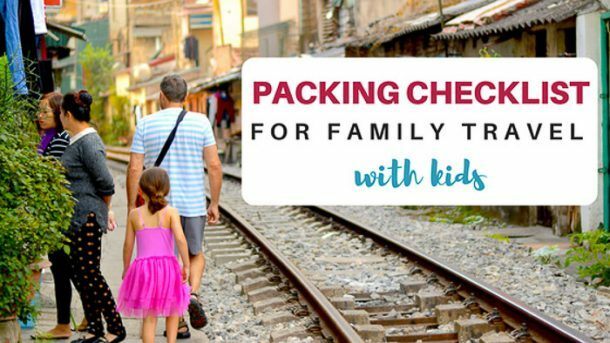 Get our free guide which includes everything you need to know for a stress free trip to Berlin with the kids. Start planning that Berlin trip now!